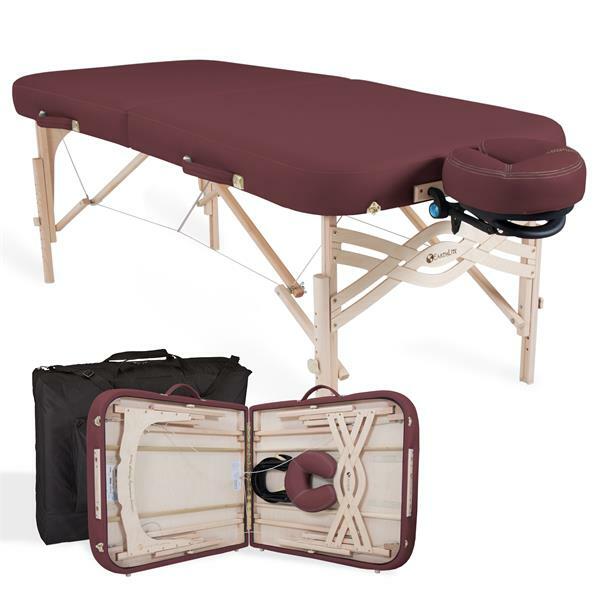 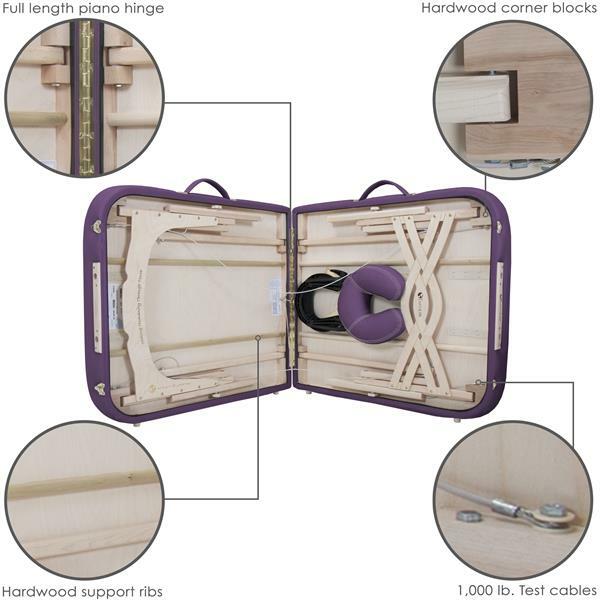 The Spirit represents Earthlite’s top of the line portable massage table. 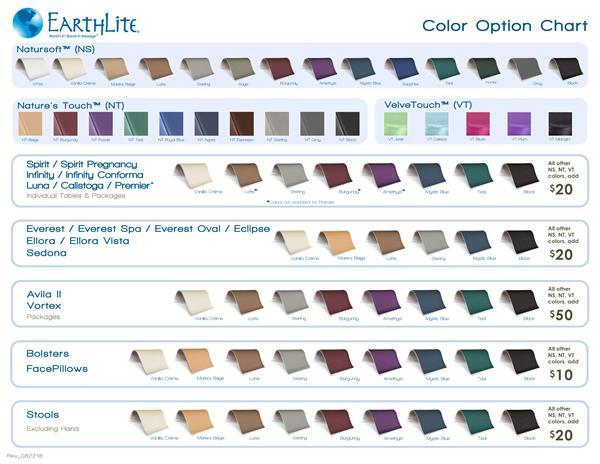 Precision crafted using Earthlite’s proprietary Jointless™ formed beam technology and the finest, eco-friendly materials available. 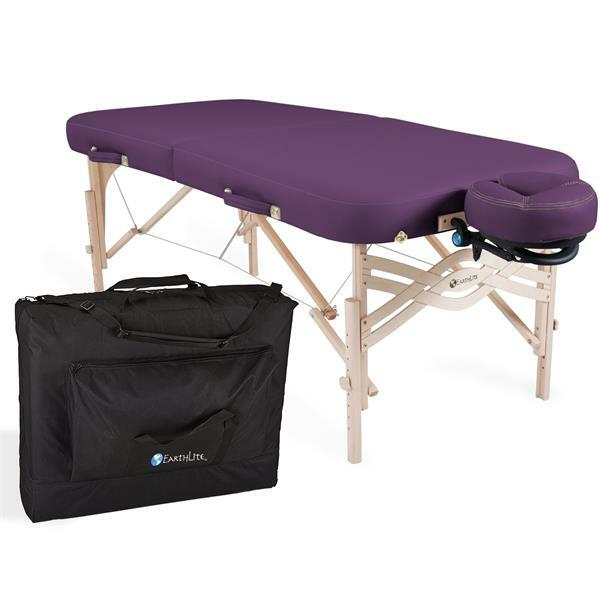 Clients will love the luxurious Pro-Plush™ Deluxe cushioning system and buttery Natursoft™ upholstery. 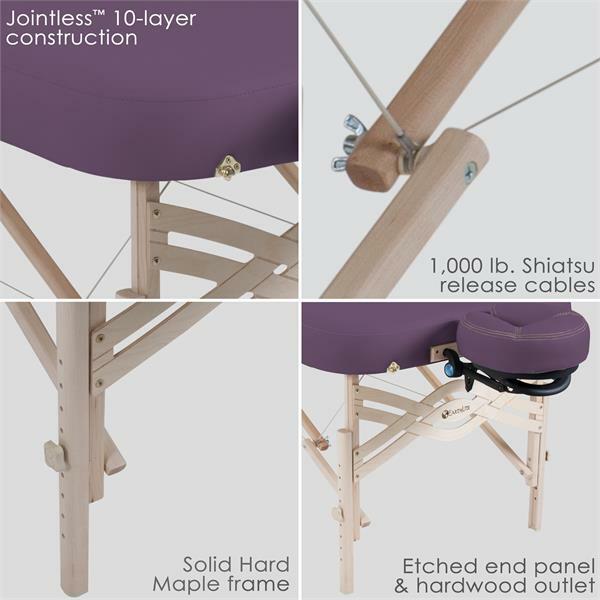 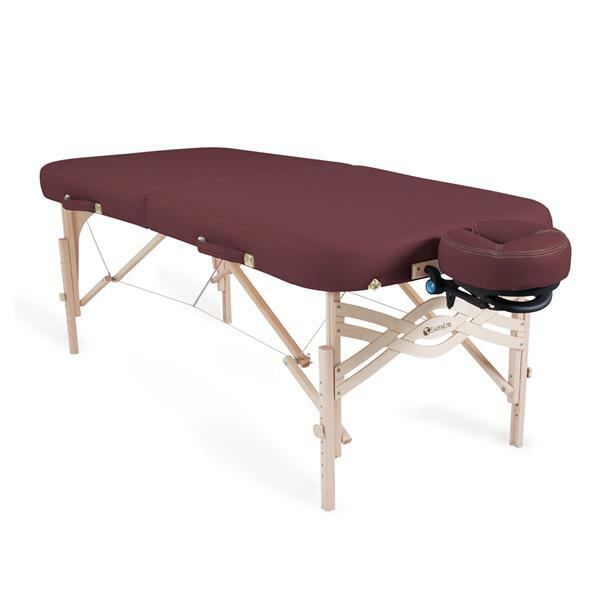 Designed by the world’s leading massage table manufacturer to last a lifetime of professional use.